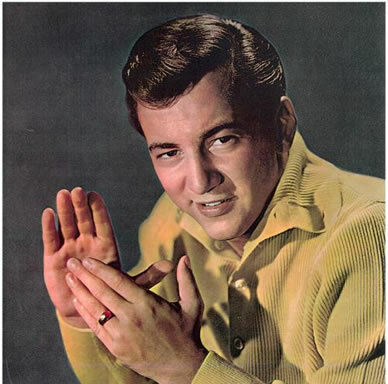 Often people forget about how multi-talented Bobby Darin was. There were many talented performers in the late 1950’s and Bobby Darin is always considered by experts to be near the top of that illustrious list. Darin wrote and performed, “Dream Lover,” and also saw tremendous success with his versions of “Mack The Knife” and “Beyond the Sea.” He even wrote “Splish Splash” because of a bet that he couldn’t begin a song with the line “Splish Splash, I was taking a bath.” His excellent voice merged with his remarkable ability to play pop, rock, jazz, folk and country music with ease. He was an early example of a true singer/songwriter. Perhaps he is forgotten because he died at 37 years old. Darin knew that his poor health would eventually catch up to him and it did at such a young age. His talent is remembered by fans of his music, but it should be remembered by fans of all music. He was a trendsetter. A few years after the release of “Dream Lover,” another singer/songwriter, Bob Dylan, would release “Don’t Think Twice It’s Alright” (which we talked about yesterday). Here is Bobby Darin covering Dylan’s classic.